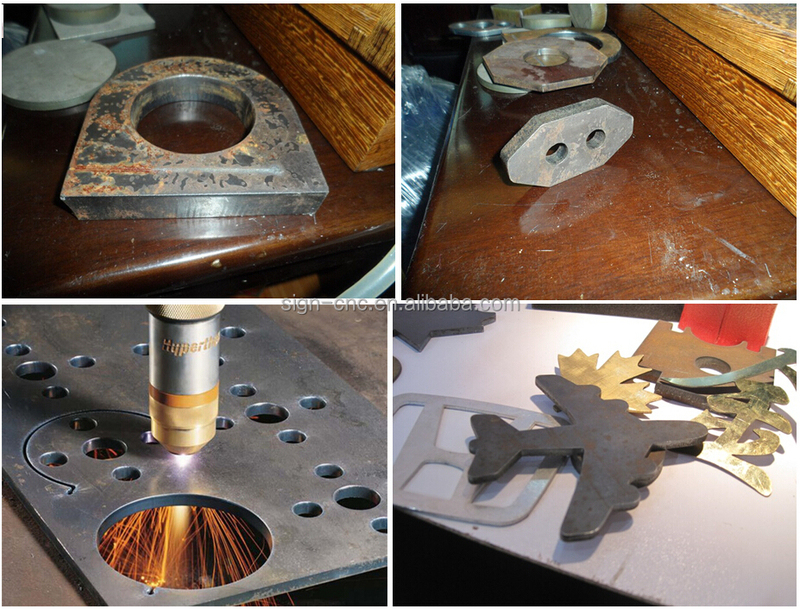 1.Reasonable and economical design:One machine with plasma and flame torch,the cutting metal thickness less than 10mm,plasma torch is the best choice,the thickness more than 10mm ,flame torch is the best choice. 2.High quality stepping motors and drives for portable cutting machine,servo motors and drives for table/gantry type machine. 3.Solenoid valve,power line even plugs are all choosed strictly to guarantee product's quality. 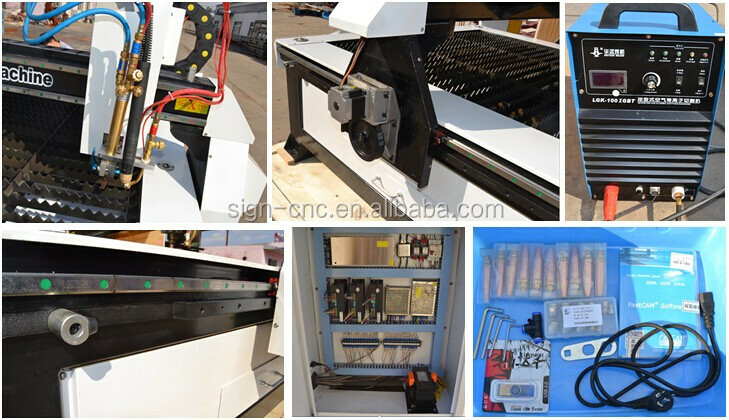 4.CNC system is with high configuration and high performance.Starfire,Fangling and Start can be choosed.FastCAM design software an support AutoCAD etc. 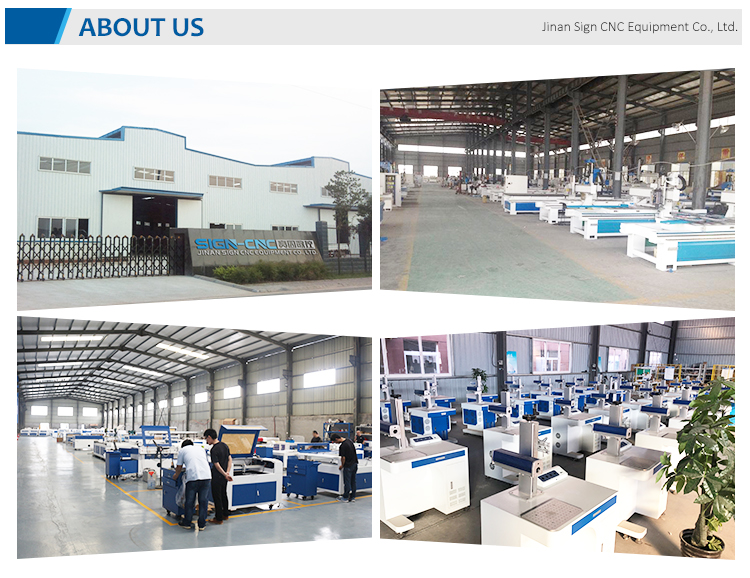 Case shell of mechanical and electrical products processing,advertising signages,process decoration, black smith gardens, automobile, shipbuilding, electrical accessories cutting and processing ,welding industry etc. 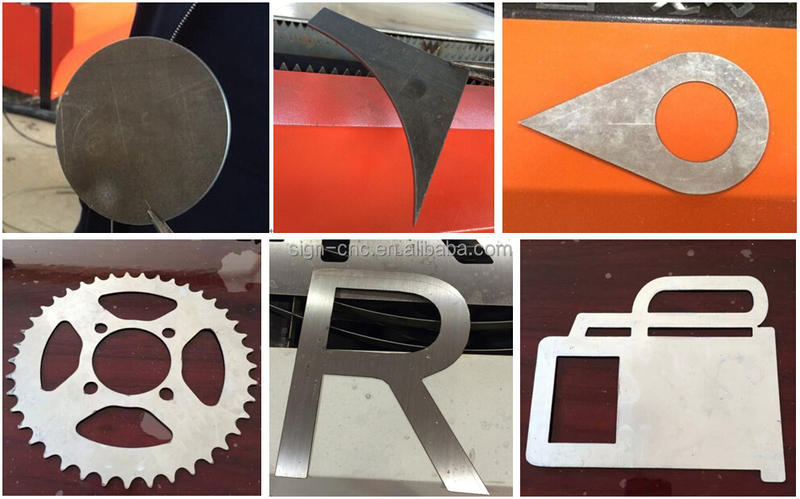 Iron plate,stainless steel plate,titanium plate,galvanized sheet, high speed steel,etc. 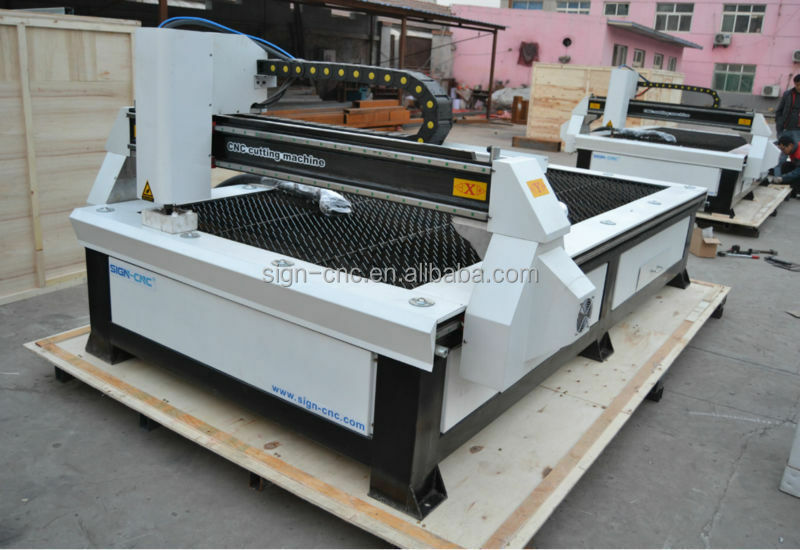 Remark: All machine models can be customized according to clients’ special requirement. We have a strong professional technical team to provide the best products. We have experienced managers with the most perfect price system integration schemes for our customers. 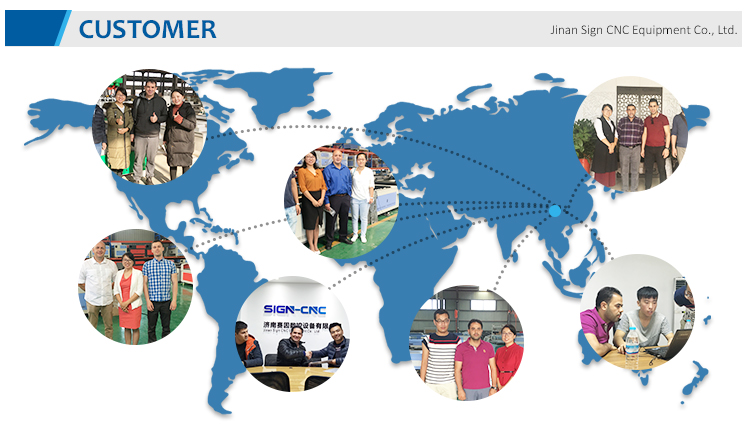 Established business partner with many customers from Russia, Ukraine, U.S., Japan, South Korea, Canada, Italy, Turkey, Iran, Iraq, Egypt, Brazil, Pakistan etc. more than 50 countries. Meanwhile, we insist the principle of “the best products, the most reasonable price, the maximum benefits for customers”, there are prestigious fame in the industry business field. All response and suggestion from you, we promise to give you a satisfactory reply in 12 hours. 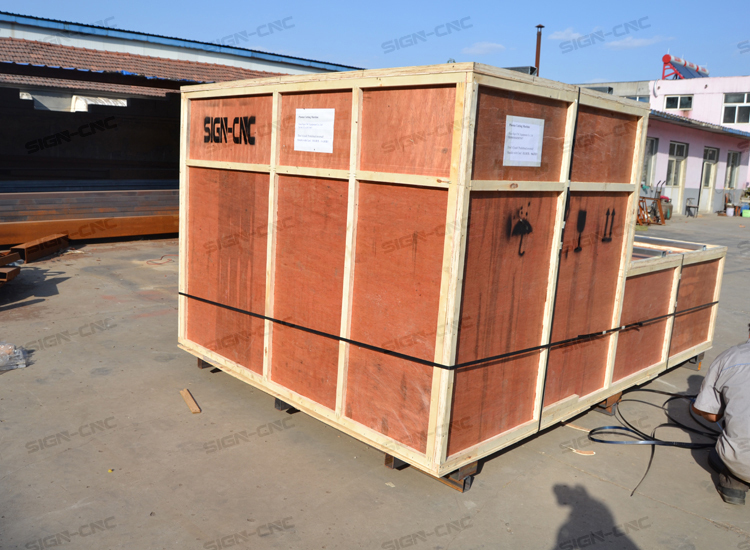 Standard export wooden box, and all the machine parts have been packaging, and whole of the machine with waterproofing membrane. And then have been package use standard wood case (The fumigation-free ), on the case top and bottom have steel tube for support. Let it more strong to avoid damage during the transport and for long distance transportation. 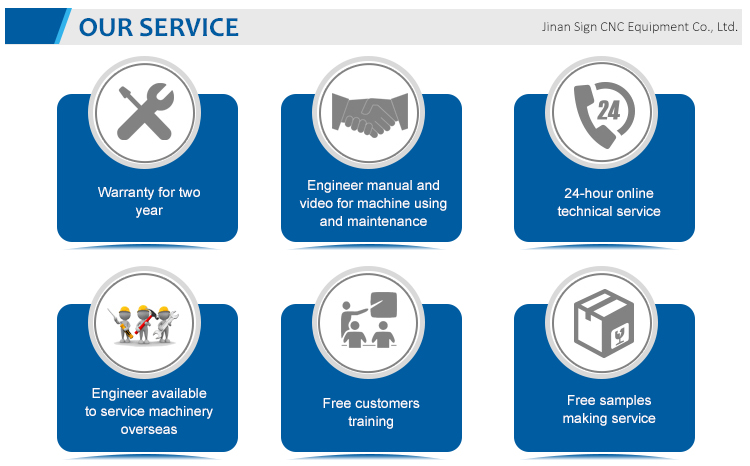 One year warranty for machine, and if machine parts not work because of quality, we can repair and replace parts for free in one year. Control system CD for software in English and with manual. 24 hours technical support by call, email, skype, whatsapp, wechat and so on. 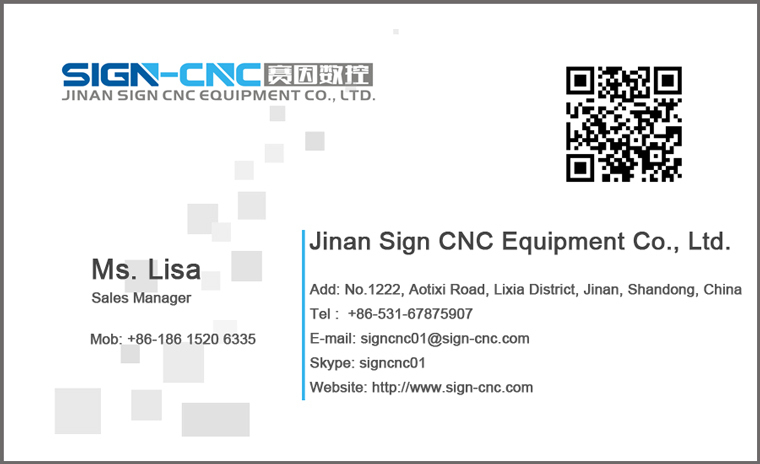 Exceed warranty period: if the cnc machine parts have any problems, we can offer new machine parts discounted / agent price for you.